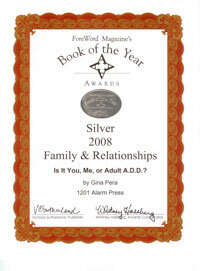 To people who don’t truly understand Adult ADHD, it seems a ridiculous oxymoron: A perfectionist person with ADHD? As I emphasize in my first book, ADHD is essentially a challenge with finding that middle ground between over-doing and under-doing. For the longest time, I tried to figure out why so many women hide their ADHD. 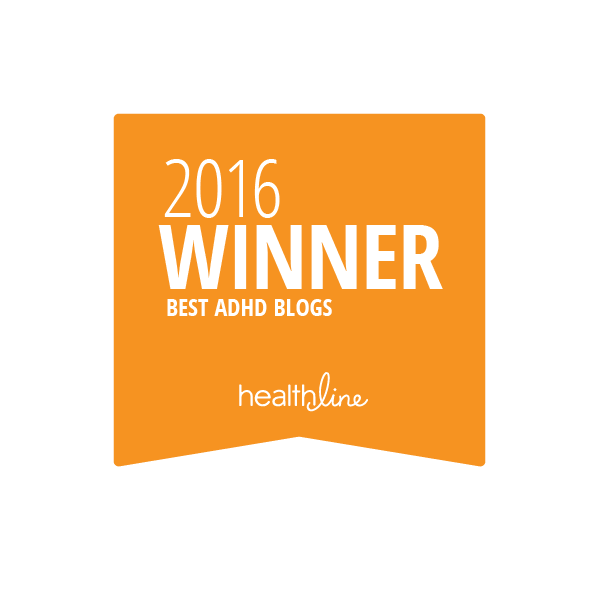 I’ve written about the reasons I hid my diagnosis (“Hiding My ADHD”). It’s not just about being ashamed. It’s about thinking you can “beat it”. And some of us feel so unable to control our symptoms we start trying to control everything little thing. This kind of thinking leads to perfectionism. As a person with ADHD, I take mistakes hard. I want—in the worst way—to do everything perfectly so that I won’t be judged for my diagnosis. The irony? In the past, my mistakes were pointed out to me and criticized fairly harshly; now I do it to myself. I was always eager to please. As a child, I told adults whatever I thought they wanted to hear. You’d never find me arguing with teachers, parents, or anyone I considered an authority figure. Many children with ADHD are just the opposite: They can become oppositional and argumentative. I didn’t argue, I just tuned everything out. It’s shocking, I know, to imagine this jumped out for someone with ADHD. I used to be more critical of people than I am now. The older I get, the more I want to understand other people instead of criticizing them. In general, I don’t like to judge or hurt anyone’s feelings. Oh geez. I am so bad at talking about feelings. I mean epically bad. My husband could tell you stories about my inability to have difficult conversations. I love getting to know others, but sharing myself is a weak spot. I planned my wedding with as few witnesses as possible because I didn’t want to say, “I love you” in front of people. If that’s not pathological, I don’t know what is. I have ADHD, and I also tend toward perfectionism. So where do the two traits intersect? Examples of adaptive perfection exist is professional athletes and surgeons. I’m not gonna lie. If a surgeon is working on me, I expect perfection. A professional athlete I am not concerned about unless their training impacts their physical or mental health in a negative way. Unfortunately, perfectionism for me tends to be more maladaptive. 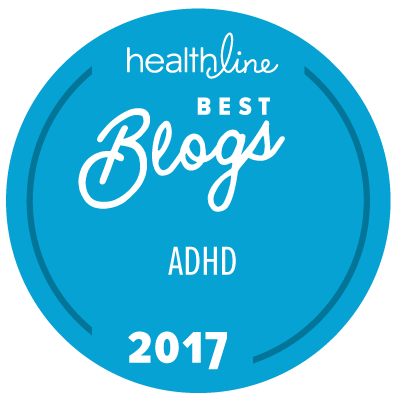 It would stand to reason that I am not alone in this; I know other women with ADHD who appear to be perfectionists and exhibit some of the traits I discussed above. The APA article explains that when you start to believe that perfection is how you attain social acceptance – that is maladaptive behavior. Or if you put so much pressure on yourself to develop the perfect body that you go down the path of disordered eating – that is maladaptive. I will confess I have been guilty of both of these maladaptive perfectionists tendencies in the past. Again, I do have ADHD. I still suffer with this urge to force myself into being perfect. Achieving a perfect body, perfect home, and perfect credit score will make my life infinitely more satisfying. Right? What Do You Think? Can A Perfectionist Also Have ADHD? 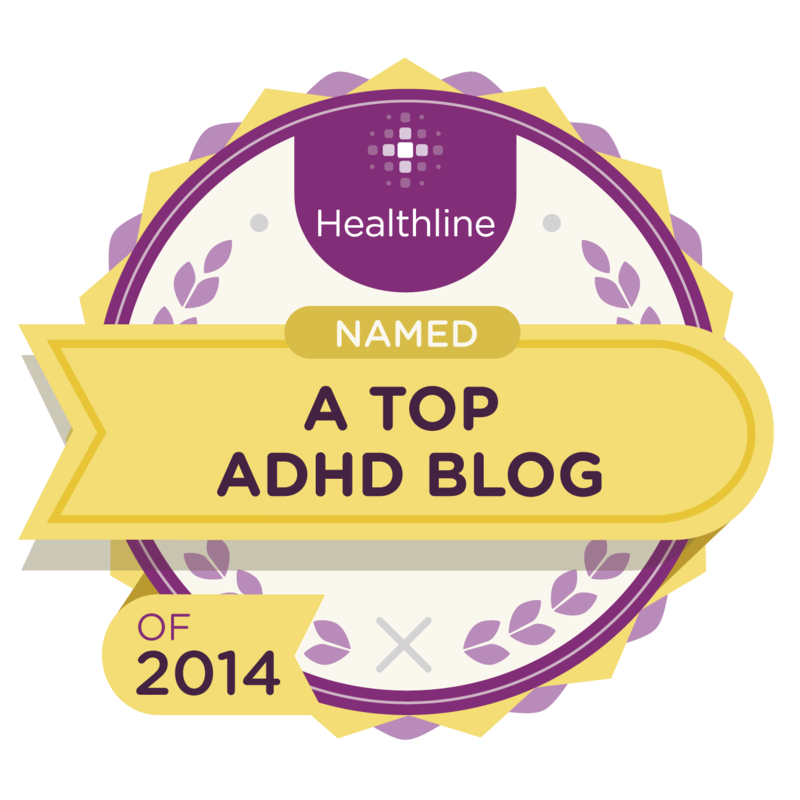 Oh my, I was just diagnosed with ADHD and I am a total ADHD perfectionist. The most frustrating part is that, because of my ADHD, I will never be perfect at ANYTHING. I also try to get those around me to be perfect. It is very trying on my relationships, and I try to let things go as I get older– but my inner perfectionist gets very frustrated with me. I have no hints or solutions, but it is nice to see others like me exist. Thanks for this post. You are quite welcome! I suppose we are in good company. sort of? It certainly is hard on relationships when we try to hold ourselves and others to impossible standards. I cannot say that I learned not to be. I still have the tendency but I am more aware of it. My only advice would be to try to be aware of your perfectionistic tendencies so that you can work on being gentler with yourself. Thank you for your response. Glad you were able to move forward. You are right, it’s always there lurking. Needing to make up for our failings through the impossible aim for perfection. Now that’s irony. Yet anything less feels like giving up and failing yet again. Coming to terms with “good enough” for ME is a journey of acceptance. Hard fought, but oh so necessary. Good approach on this difficult topic Liz. Thank you for commenting, it means the world when someone reads and responds. We all need to say, “good enough” more often I think. It is a journey. I completely relate to this article! I am a perfectionist and found out just under a year a go I also have adhd. Being a perfectionist and never obtaining what I considered “perfection” took a huge hit to my self esteem and self worth. I developed extreme anxiety and depression, constantly fustrated with myself, never understanding why I couldn’t get things done or even get things started. 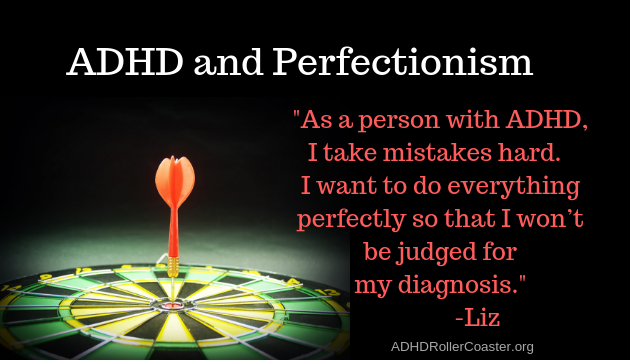 It wasn’t until I was diagnosed with ADHD and started learning about it, that I was able to start forgiving myself for my imperfections and learning how to not be such a perfectionist! Thank you for commenting. It seems like so many of us have this anxiety and this constant feeling of frustration. You are correct, forgiving yourself is half the battle. I am finding the more I accept it and work within my strengths, the better I am able to function. How did you learn not to be? It is a huge struggle for me. You know what is strange – I used to work ahead when I was in school, too. I used to basically pre-write and memorize my essay questions or any kind of oral exam. I would spend hours on this stuff. I was terrified of not being perfect. I agree with you, people who see me from the outside think** I am so together and funny. What a way to live?! No wonder I take medication. 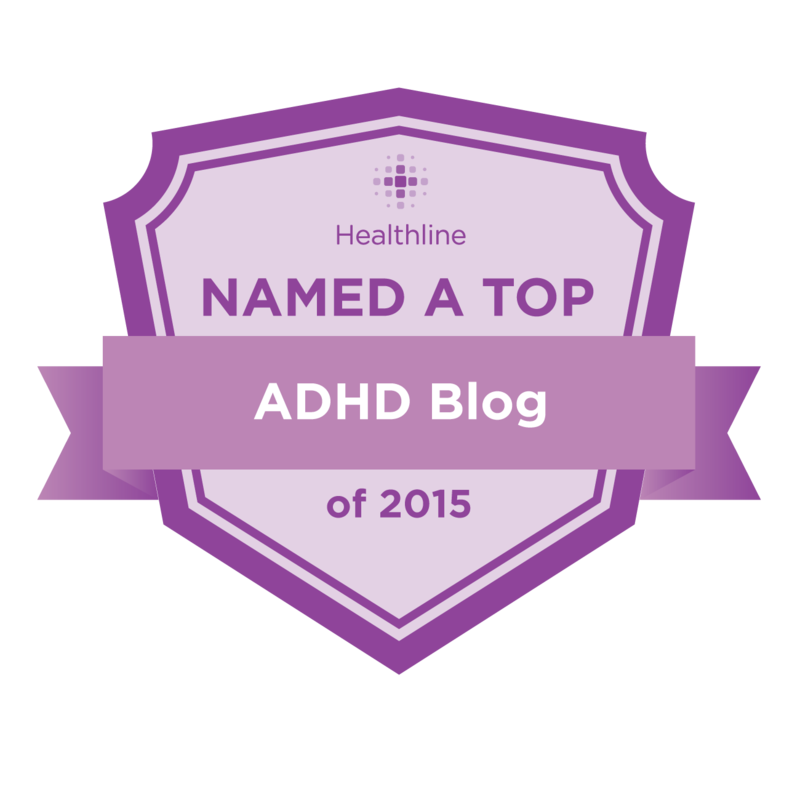 Thanks so much for leading this discussion with ADHD Roller Coaster readers. I am familiar with the phenomenon. I hear from enough late-diagnosis women in my Silicon Valley Adult ADHD group. They describe their high school, and sometimes even college experiences, as ramping up the old anxiety to manage the unrecognized ADHD. After a few more years of this extended into adult life, they are well and truly exhausted! Bless your heart. Hon, this is a very hard way to live, as you well know. And, you don’t have to continue suffering like this. ADHD treatment can help to modulate your desire for perfection, and perhaps treatment for anxiety/depression/OCD as well can help you to let upon yourself. Are you pursuing any treatment currently? For me, perfectionism was a product of (1) having enough academic ability to get by in school, despite ADHD, and (2) getting constant feedback that I was wasting my potential, tarnishing and trashing something valuable that others would have cherished and been happy to have. Of course, in response to the latter, I became less cooperative. The rationale for doing homework was, “We know you can, and we said you should, so you should do it.” And then my completion of homework became the entire measure of my value as a person — which is to say, I felt persistently devalued. And because I was already feeling devalued and being checked out of trying harder by the time I have reliable memories, I had evidence that they were right — that I really was just a noncompliant brat. The fact that I didn’t want to do what they said was my sin, and must be the secret reason that I wasn’t doing it, even though I completed many things during panic-fueled all-nighters. Of course, none of this erased my desire to be a good person, or erased the fact that I wanted to do a good job, that I wanted to get things right, that I cared about things. When I felt like it was necessary or achievable, I would do my best to do a good job, but because everyone assumed effort was the problem, I was never really shown how. I could do a decent job during an all-nighter, but I was so reliant on all-nighters to focus me, and to give me some clarity when it came to prioritizing that I didn’t know how to escape the details on my own. And how, after so many years of cringing as I turned things in, hanging my head in shame as I received feedback about a product that I knew was insufficient, cursing my own name as I wished I had more time to do what I now was engaged in and enjoying… How am I supposed to just decide this is “good enough” when I have never been good enough? That feels like committing the same sin I’ve been accused of my whole life. So absolutely — I think perfectionism can be a real problem in many individuals with ADHD, whether it shows up in their heroic efforts to meet everyone’s desires, the hostility and hatred they turn against themselves and others in equal measure, or in the fear and withdrawal from life, people, help, authority figures, love, affection, etc. After all, to a kid with ADHD, the requests being made of them can feel like being asked to be perfect, because neither us nor the asker knows why it is challenging for us, and so it feels like being blamed for having imperfect feelings of resistance and reluctance which are actually completely normal — it is just that our brains are not set up to as easily overcome that resistance. I think it can be overcome, although I think ADHD can also make that difficult, in that some of it shows up in not being able to tell which details are important and which are not — and an accumulated absence of instruction, desire to overcompensate for prior struggles, and legitimate neurological bases for poor prioritizing can all make it hard to get rid of. Thank you for the illustrative details. It’s a wonder that people in your situation don’t grow up hating humanity. I imagine some do. With good reason. How many thoughts in ones head can go on when your attracted to someone and you want to do the right thing. I’m in love, just blurt it out. How about coffee, oh, yeah, I don’t drink coffee. I’m physically attracted so give them a hug, that will show them how your feeling. Hello hug, good to see you hug, embrace hug, hug then back a bit make eye contact smile, could be creepy. Maybe not, write some letters, let them respond, they never did, ask them what they thought of what you wrote. Were they avoiding you or is that your imagination? If you ask, what’s the worst thing, what’s the best? Show confidence!! You mean lie? Yes that shows confidence and control, people respect that. Look at all your favorite politicians. What, you mean lie all the time? Yes it’s worked for generations. Aren’t you watching Big Brother and Survivor, Trump and Clinton. That’s how real people treat each other. Try it, it’s not bad. In fact even Lawyers are enjoying the game. The Journalists have capitalized on praising by comparison, making praise meaningless. What Game? The game of life, just turn and look away. Obviously, you never say you are turning and looking away, that’s part of the Game. Just say everyone else is turning and looking away. It’s a game, your a player, but the rules are like letters to those with dyslexia, you can’t understand them. I’m a perfectionist, but perfection, like a lot of things, seems only a dream. And so many dreams have failed me. Perfect the things you understand. Ignore the dreams you want? I’ve done both. And neither seems to be working. What’s to understand? No, really what am I to understand? I’m just like everyone else? Where is the on off throttle turn switch buttons that everybody else seems to have. I can only yank and repair the wires and connections as I go along my merry way. Funny how the wires become weak and frayed. And they say ADHD isn’t real. Wait, was this the topic? Doesn’t matter, something inside says press send. Add smiley face. Ps: I’ve lived most of what everyone wrote above. Its hard. It hurts. It’s not a joke. I wake up every day often in anticipation of new found or re-run frustration, or success, with concurrent or shortly to come knowledge of shortcomings. Ive often survived by trying to be perfect, and doing more. I still try but my enthusiasm and confidence is close to gone. And my willingness to try something new or different is close to negligent. There has got to be somewhere between perfect and failure. Thank you for writing this blog. I felt relieved to find this. 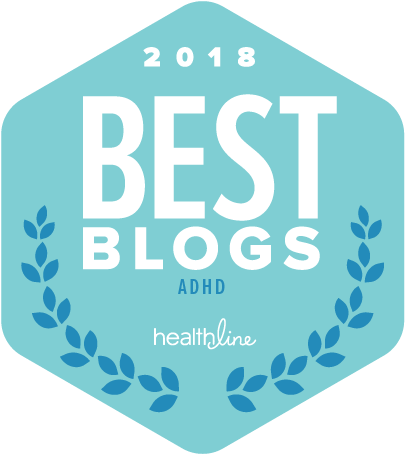 I was diagnosed at the age of 18 with ADD and I have a 6 year old son who is ADHD and Oppositional Defiant, and a struggle immensely with perfectionism. I never thought that this could coincide with ADD as us ADDers have a tendency to never finish things, or procrastinate, and have trouble in relationships. About a month ago I even was considering asking my doctor if I could possibly be OCD. I think though that my need for protectionism has gotten worse as I have gotten older, because I feel the need to control almost anything that I can in my life since most of it is out of control. But in trying to be perfect all the time, I find my self loosing out more than I am gaining. I care to much what people think, my school work takes me triple as long because if it is not perfect in my eyes I need to start over, I waste time cleaning and re cleaning and organizing until the house looks perfect instead of spending time doing something fun, and if I feel the work I have done, the craft I have made, the paper I wrote isn’t perfect enough I quit. Causing my academics to suffer, my work to suffer, my family and myself to suffer. It was nice to find this article it was very insightful for me. Perfectionism is an issue that I have been struggling with a lot lately (it keeps getting worse) and is something that I have been working hard to try and control and change and it is nice to know that I am not alone. Indeed, it is worth checking out. Here’s the real danger in assuming such “perfectionist” behaviors are OCD: the medication used to treat OCD can sometimes make ADHD symptoms worse. The correct diagnosis is critically important. I encourage you to keep learning, and to seek help for you and your son. Sometimes “oppositional defiance” comes from ADHD-=related frustration and inability to follow instruction. Medication often helps. Hey, thinking of pursuing a diagnosis for ADD – thanks for these posts. Diagnosed with Autism spectrum disorder, but something is clicking for me with this. I hope this fills in the puzzle so I can actually break free from some of the cycles I think may have to do with ADD, or something similar. Being a perfectionist with how I express myself and not showing neediness or imperfection does not help with achieving the kind of connections one needs to get the actual supports in place. 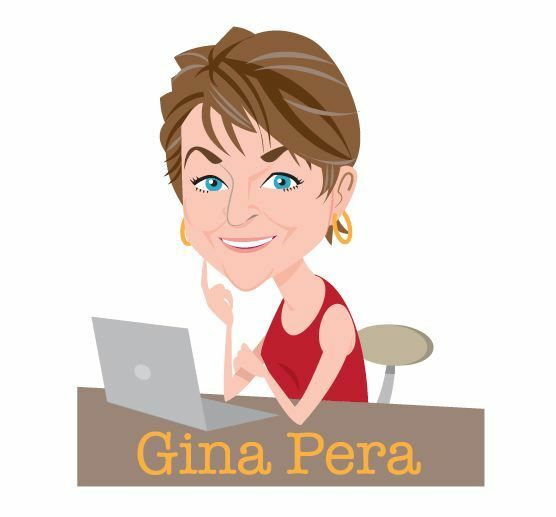 I’m happy that my blog has you reconsidering your diagnosis. In the old days, we always knew to gather several medical opinions on an important diagnosis. Today, it can be difficult to get ONE psychiatric evaluation, much less several. The trouble is that some mental-health professionals simply do not have the in-depth understanding of how these diagnoses that might superficially “look alike” are actually very different. Too often, ADHD is misdiagnosed as Autistic Spectrum Disorder (ASD) because the person avoids eye contact, has difficulty socializing, thinks in black/white or concrete terms and has trouble with gray area. But those behaviors (and more) can possibly be better explained by ADHD. More importantly, if the person actually has ADHD, these behaviors are much more likely to respond to medication treatment, compared to ASD. Yet, even with a correct ASD diagnosis, the ADHD component is often missed. That is, MANY people with ASD also have ADHD. ADHD treatment could help them, too, with some of their challenges. Good luck! Keep learning! Self-advocate! Hi, My wife laughed at me for being a perfectionist about something and at first it hurt. Surprisingly a lot. All these emotions just bubbled up. I had never thought about being ADD. As a kid I was told I was dyslexic, and my daughter is as well. ADD was never mentioned. I had all the usual problems in school. “If only he would apply himself.” I got a PhD because it just seemed like a good challenge, and just maybe I could prove all those people wrong. The problem was hanging onto a job. Maybe part of perfectionism is not being able to work with others. Or maybe it’s just a way to deal with all the other failures. It seems my emotions run everything and reason is always fighting to get a seat at the table. So I’m a really good cook, I roast my own coffee beans, when we remodel the bathroom I want an incredible design or I don’t want it at all. Anyway, after having felt so bad about my wife’s comment I started looking around and I came upon some descriptions of ADD. Wow. Some of it is incredibly spot on. I take forever to get anything done. There’s a pull on my motivation that I can’t control. I forget a lot. The mundane can create so much tension. But then I might be called organized because I do write everything down. I have to. I absolutely have to or I wouldn’t be able to get anything done. I also know if it’s important I should allocate about 5 times as much time as I think it will take because I know I won’t be able to finish it in one pass. The more I get stressed the more my mind starts racing so I have to make more time to do anything. I’ve also learned how to adapt to some things. Self medication of sorts. I exercise, not because I want to but I need to. I’ll get wound up and grumpy if I don’t. Aerobic exercise does wonders. Coffee is good too. Meditation and the right kind of music helps. Working on things I love to do keeps the emotions happy. All this realization has been in the last two weeks. I’d like to make an appointment to see if I have ADD but my fear is the docs will just say no and it will cost me a $1000 out of pocket. 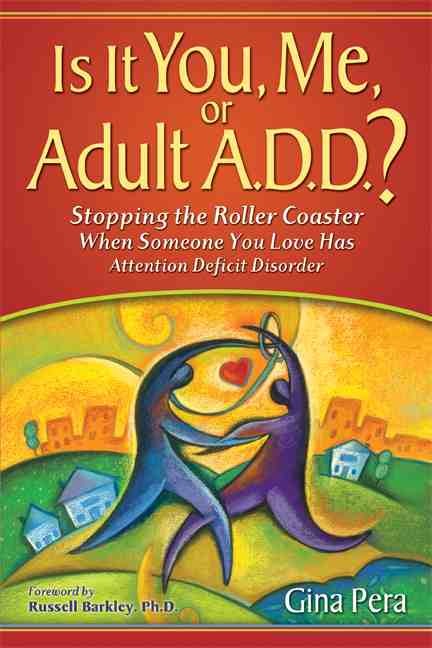 There seems to be a problem with diagnosing adult ADD. I look at the questions/symptoms and my answers are often “it depends.” If I have just ridden my bike 30 miles then my mind is cool and level. If I’ve just spent a week doing nothing and then I have no patience for relaxing or playing cards. But back to perfection. Perfection is just a form of hyper focus. It’s an emotion. Perfection yields a high dopamine payout. Until I can’t make it more perfect. Then it’s boring. And then it’s frustrating until I find something else. It’s like exercise. At first it’s easy to get the high, the brain drugs that soothe everything. So I keep exercising. The problem is I then get in shape and I have to push harder. Eventually I hit a wall. I hurt myself. I can’t figure out how to be more perfect. I crash. I lick my wounds. I try something else. Soon, I’ll find myself going down another rabbit hole. So yes, I believe ADHD and perfectionism makes sense. If it doesn’t, please tell me what it is that I’m dealing with. My brain right now is full to overflowing with a ton of research and clinical information related to ADHD. It’s the last day of the APSARD meeting, the professional organization for ADHD researchers and clinicians. As I read your comment, the usual alarms are going off — but louder this time, the neurobiological explanations being very fresh on my mind. 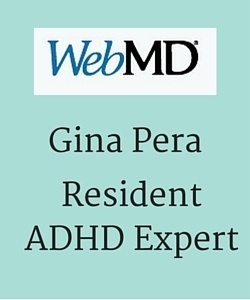 But please don’t waste $1000 on a clinician who doesn’t understand ADHD. Mental-health professionals represent a crazy patchwork quilt of bias and specialty that too often precludes evidence-based knowledge. Instead, read my first book. It will tell you everything you need to know about symptoms and comorbidities, what to look for in the evaluation process, ADHD-related myths and misconceptions, how CBT for ADHD presents the best therapeutic model, and how to bet the best results from medication. 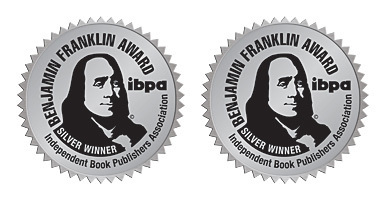 Amazon has discounted the book today to $17. It’s a steal! And, if you don’t like it, return it. But please don’t delay and don’t think you can “get it all worked out” in your head (perfectionist style) before making the first step. I already ordered the book. I read all that was in the preview and, well, that was kind of a warm blanket on a snowy day. “It depends”! Another phrase that comes so often in my head. Much like other phrases I hear at ADHD gatherings. The problem often seems to be that, to others, there is only one possible choice between two possible outcomes. That has never been the case for me. If an action is an emergency and quick action is needed, the choice is what can you do now based on what you’ve learned, what you can see, what you have control over, and what priorities are in place and what goals do you hope to achieve. There are various ways to go through this. Processes and standards, are, and have been, formulated, whether in work or in the field, or in an emergency room. But life isn’t always an emergency. Choices aren’t always made based on best possible outcomes. Outcomes for who? Choices for who or what. What choices will result later? It goes on and on. I don’t get obsessed, but I do look for consistencies. Too often I see the inconsistent. The discrepancies between what is said to happen, and what actually does. The Human factors. Perfection. It does not exist. It’s a goal. For me, a goal of perfection is a necessary evil. If I don’t work towards that goal with total purpose, I make more mistakes, in the eyes of others, and occasionally to me People are great at catching my mistakes, even when I am doing quite well, with the things I am supposed to be doing. Yesterday, verbally, I lost my train of thought, as to my location in relation to where I was headed, (always just momentarily, and embarrassing, but rarely if ever substantial. Some people call them senior moments, but I look at them as, a thought that was recycled. It is part of a filing system that is ready to be accessed. Much like the stereotyped impatient, impulse control lacking ADHD person, the individual cards in this filing system can be impatient to get used, and may be verbalized without any real action, or real thought, taking place. Thinking out loud is a better way to view it. It occurs much more often when under stress or when wanting to be “overly” helpful. Part of it is my ADHD past and present. Overwhelm, makes it worse. trying too hard makes it worse, not trying or focusing enough makes it worse. Knowing these things may help, but knowing them also prepares me for knowing new mistakes will be coming. Past experience is hard to break. Those monsters who say “when you least expect it” understand ADHD much too well. Not a perfect scenario for a creating a confidence building perfectionist. But I can still try. And I am not alone, even when I feel totally alone. In Current ADHD Science, How does “It Depends” mesh with the black and white versus grey area views within those with ADHD and those without? The Extreme Human works for me, though I seem to have both clear cut areas, and grey areas. But, are there classifications or categories that are, more often, clear cut and others that are more often grey, for people who have ADHD. I’m guessing moral, value, rational, or critical thinking will be terms that come up. (Critical thinking is a term that, when used by some seems, to me, to say “my thinking is more critical than yours”, even as I do understand what it is supposed to mean). This may just be a thought question, rather than one with real answers… I hope your laughing, even though, I’m really asking. I’ve just completed three days of listening to very sophisticated presentations of very sophisticated ADHD-related science. No clearcut answers to each individual human snowflake. That’s the roller coaster. And yet it’s a bit worse. The other part is that it seems the track is always moving. Every time I go around the track it’s different. So I look for other traits that can help me and I find another one that is causing causing trouble.. Just wow! Now I don’t really know if it’s truly a part of my personality or was a survival skill to avoid silly mistakes.